While swimming pools were first founded in the Roman times, it wasn’t until the 1960s that they started showing up in residential backyards. Each year, thousands of swimming pools are being installed, ensuring it to be a multi-billion dollar industry. 1 – They are visually appealing. 3 – They offer an array of health benefits. 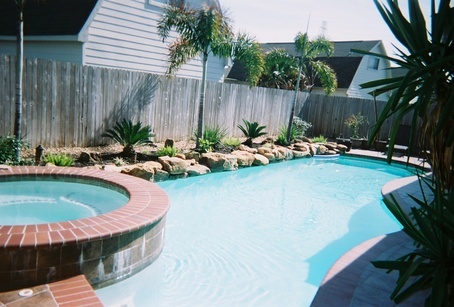 Of course, there is a drawback to having a swimming pool in the backyard – they are a drain on energy. It’s not just the construction of it but the continuous maintenance that goes into it. Now, it doesn’t have to be like that! New technology, products and creative minds have assisted in reducing the world’s carbon footprint, helping people to save money while saving the environment all at the same time. It really depends on what you want – there’s no right or wrong answer to the type of construction. Consider two things: your budget and the time it’ll take to get it set up. One of the oldest methods for swimming pool construction is concrete. However, that’s also the more expensive option. The construction for it is typically low when it comes to the environment besides the concrete extraction. Of course, they’re comprised of toxic resins and the construction has waste product. Vinyl lined swimming pools are typically the cheapest and can be installed below or above ground. Plastic support panels and vinyl liners need oil-based products to be produced. The filtration system is considered the pool’s heart and lungs. It helps to eliminate the impurities in the water and keep it healthy and clean for you to enjoy. It’s also what consumes the most energy. You’ll need an electric motor for the pool pump to move the water through the filter and back into the pool. You want a pump that is the right size for the pool and can handle large volumes of water through the filter two times a day. Pool builders have been, for years, telling pool owners they should have a bigger pump than their pool requires. All this does is boost the operating costs because large motors will need more energy to run. And, it causes undue pressure on the filter if it has not been increased in size to handle the extra water flow. Multi-speed pumps have seen their popularity soar but only available in countries where 60Hz power supply is located. Less than that and the flow reduction cannot effectively handle the pool surface skimmers, heating systems or automatic pool cleaners. There is new BLDC motor technology hitting the market that allows for infinitely adjustable speed selection so that 50Hz power markets can decrease the speed and the pump’s energy consumption while ensuring the pool components’ performance is not sacrificed. Keep in mind though that the pool’s hydraulic design must be correct with a minimum of two-inch pipe to attain the proper water flow rates. 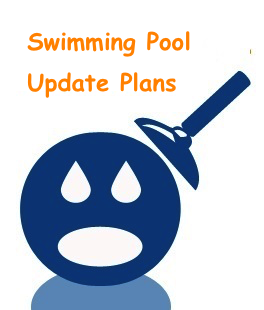 It’s typically unsuitable for existing pool equipment upgrades. A pool’s filter will get rid of the impurities in the water and has a pressure vessel with media bed for water to go through. The drawback to the media bed filtration is their continuous flushing in removing the impurities. This can result in gallons of water being wasted annually. More and more people are using cartridge filters, which require once a year cleanings. Using both a multi-speed or energy efficient pool pump will dramatically reduce the power consumption by nearly 65 percent. A pump and filter that’s correct in size can save an additional 25 percent. Cartridge filters can eliminate water waste by nearly 99 percent because the paper filters don’t need backwashing or constant flushing. What does this all mean? It means people can enjoy the pool, not spend their time maintaining it.